Shoulder bags, backpacks, cross-body bags, bucket bags, clutch bags, totes and top handle bags, we can't seem to have enough of them! I used to own far too many but have slowly sold some off or given to charity. It's all about the none practical bags right now, big enough to just carry your essentials like phone, purse and keys, and maybe a lippy. A bag can make an outfit just like shoes, especially if it's a statement piece. 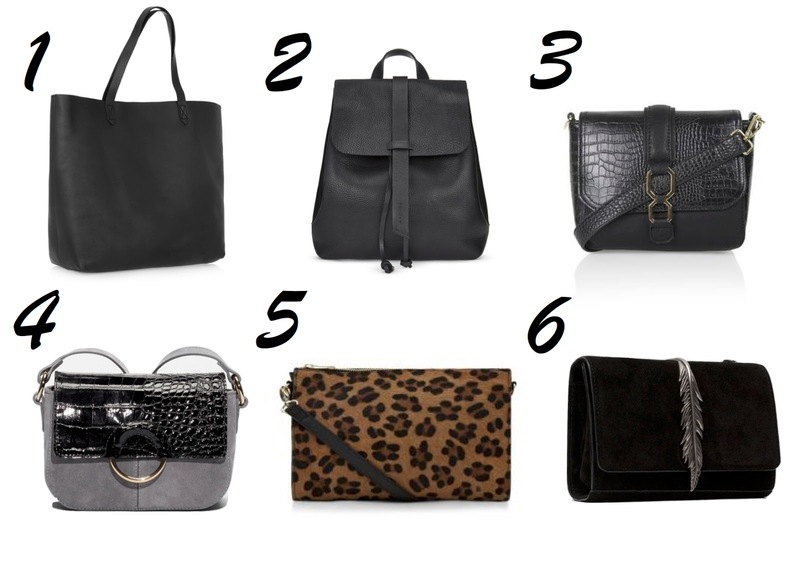 Today I'm talking about my bag wishlist and some high street options. At the moment, a small everyday bag is all I need, but then I have those days where I need to carry more than just a wallet and phone, so need a slightly bigger bag. Then for those rare occasions, I need an evening bag, so in total, you would think I only need three bags. But with so many styles and colours, it can definitely be a challenge to settle for just three! I'm more engrossed in accessories than clothes, I can spend ages looking at jewellery, bags and shoes, these things most of the time make a simple outfit more interesting. 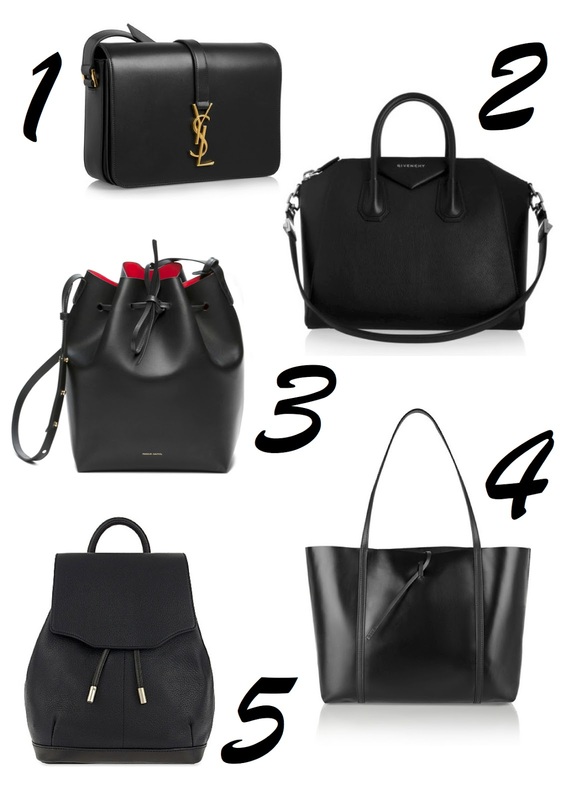 Here are few of my favourite everyday bags, all great sizes and not too bulky. I have a slight obsession with black but it is an essential colour after all. 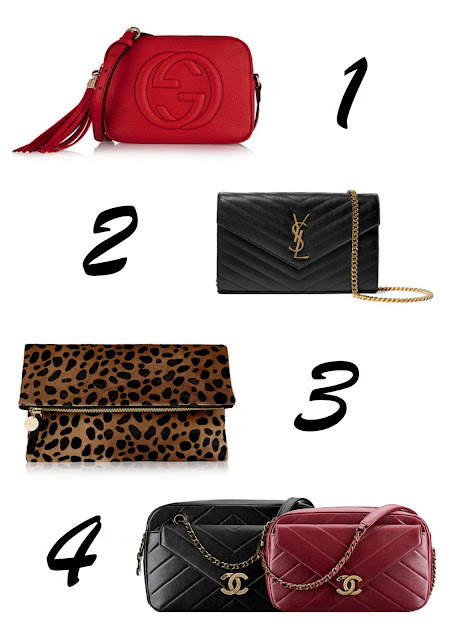 The below day/evening bags are iconic styles and will lift any plain outfit. I would be happy with any one of them, on my wish list for sure. Now for my high street options, I've seen some great bags out there that fit each category but I've cut it down to six. If you're looking for a bucket bag, this one from Zara is in the sale at the moment for £22.99, very similar to the Mansur Gavriel Bucket Bag. Happy shopping and I hope you've enjoyed looking at all these lovely bags.